A pair of Pakistani women have made history as the first Muslim lesbian couple to get married in the UK. 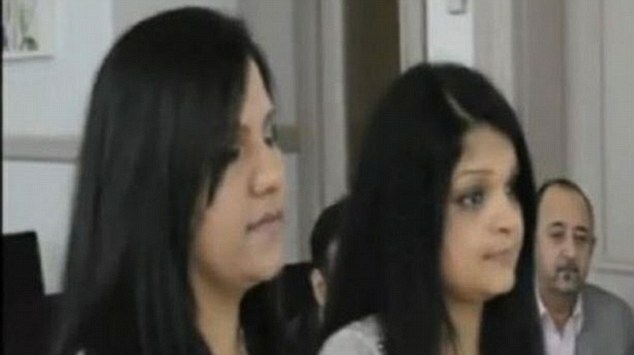 Rehana Kausar, 34, and Sobia Kamar, 29, made history when they tied the knot in a register office civil ceremony, then immediately applied for political asylum after they were wed, claiming their lives would be in danger if they returned to their native country. The pair, from the Lahore and Mirpur regions of Pakistan, said they had received death threats from opponents in Pakistan - where homosexual acts are illegal and considered against Islam. Watched by their solicitors and two friends, the pair wore traditional white bridal dresses when they were married in Leeds, West Yorkshire.